Alright, everyone. It’s time to meet the last drink that inspired my Summertime Popup Bar – this one will take you right into fall, no problems. Of course, a Pimm’s Cup or French Mojito is still very refreshing! 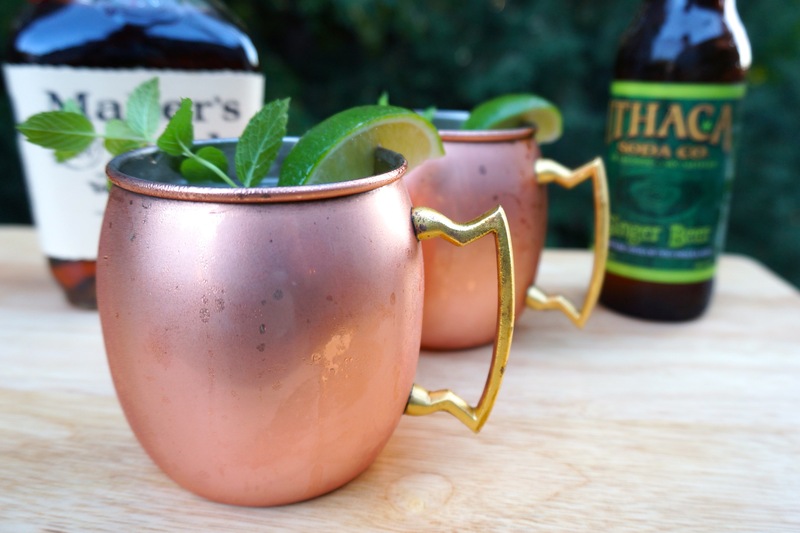 Today we’re talking “mules”; and I’m focused on my favorite variation, which is a Bourbon or Kentucky Mule. I’m sharing, because it’s a perfect night to sit on my deck and enjoy the still warm weather while watching a few leaves start to flutter down from the trees. A traditional mule is usually made with vodka, and so called a Moscow Mule. But I prefer the smoother, golden, almost honey-like taste that comes from good quality bourbon like Maker’s Mark or Woodford Reserve in this drink. You could use Crown Royal, a Canadian whiskey, but then what would we call it? a Toronto Mule? 🙂 I’ll stick with a Kentucky bourbon, s’il vous plait. Another variation on this drink is to use Captain Morgan’s Black Rum. But then it would be called a Dark and Stormy. All of these are delicious to try! The mixer for any of these variations is ginger beer. Not ginger ale; i.e., Canada Dry or Vernor’s. But yep, good quality, preferably small batch handcrafted ginger beer. The difference? Ginger beer is actually brewed and fermented while ginger ale is a carbonated beverage made from water, ginger, and sugar. 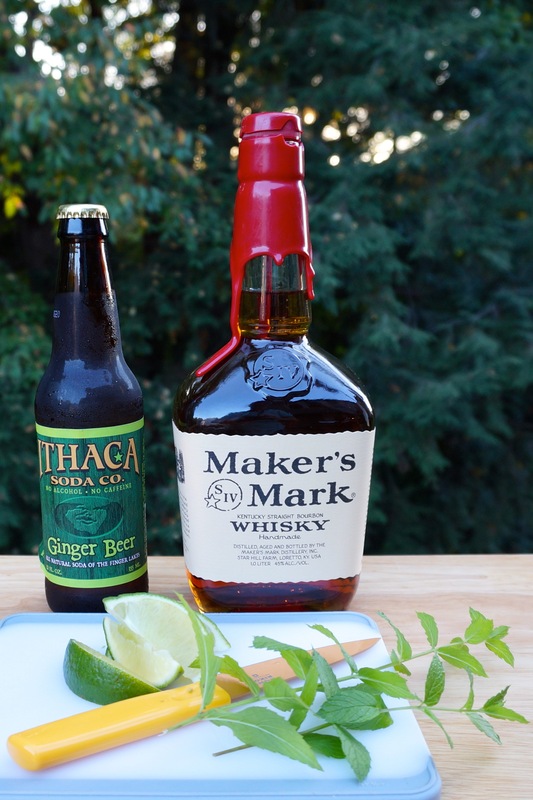 Ginger beer often has a much stronger ginger flavor, and because it’s fermented, is usually less carbonated. Neither contain alcohol I should note and are delicious on their own! I preferred Gosling’s as a first rate ginger beer to start but since then have experimented with unique brands I find in different markets, like Fever Tree from England or Ithaca Brewing Co from New York (who also happens to make one of my favorite “real” beers, Flower Power!). But the best part of the Moscow, Bourbon, whatever Mule you like is the glass, or should I say the ever so cool and adorable copper mug! If you order one of these at a bar and they don’t serve it in a copper mug, I suggest you boycott them. Well, maybe just educate them that they need to buy some copper mugs! Who doesn’t want to drink a cold summertime (or fall) drink in a beautifully patina’d mug that glistens with condensation when you fill it with this delightful concoction. The “glass” may just make the drink, in this case. Ok friends, now cut up some limes, pick some mint leaves from your plant on your deck 🙂 and start mixing! Fill a copper mug with ice. Pour in bourbon, top with ginger beer. Squeeze a wedge of lime into the glass and garnish with one on the rim. Add a sprig of mint and serve.